COR SERPENTII was created on the ashes of death-metal act Insain after its split. Debut album “Phenomankind” features a dense mix of sheer brutality and rich melodies. Exploration is a cornerstone too, heard through the themes developed by Frédéric Gervais (ORAKLE) who puts his know-how into play as both a singer and producer of this new entity. Hello Fred, welcome! Please, can you introduce your new band? You have been active in ORAKLE since before COR SERPENTII. How did you get the idea of having another band? What is the birth story of band (or project)? Frédéric: Hi Ales! Thanks for giving us that opportunity to talk about this new project. COR SERPENTII is primarily the child of Nicolas (guitars) and Benoît (bass), both ex-members of a French brutal death-metal act called INSAIN. After their band’s split, Nicolas wanted to explore other musical territories, sharing that same brutality, but I would say in a very different shape – incorporating black-metal elements, some progressive stuff too. So he basically wrote all the songs you can hear on “Phenomankind”, soon joined by Benoît and helped by their fellow drummer writing all the drum parts. I personally met Nicolas a few years ago – he’d been enjoying my work with ORAKLE, and thought it would be interesting to have me singing on this… so he asked me. To be honest, except for a few guests I never wanted to be involved in other projects, as ORAKLE has always been my personal way to channel whatever I want – and given my growing activities as a producer / sound engineer, time is a pretty scarce resource. My decision was very circumstantial. It was just after Pierre, co-founder of ORAKLE, decided to stop drums – I’ve been intermittently writing stuff for a new album, but I didn’t want to look for a new drummer, go on with rehearsals, live etc. So it was the best moment to take part in another project, a less demanding one for me as I wouldn’t write a single note or lyrics, just the vocals placement and melodies. Was this one of the main motivations for forming the band? Frédéric: No, I guess the project would have been released with or without me, as the songs were almost done when I joined… From the beginning, Nicolas wanted that contrast between clean & extreme vocals, and it‘s something I use a lot in ORAKLE. I wrote all the vocal parts from Benoît & Nicolas‘ lyrics, so of course it would just have been different if someone else took that role. But really, the main motivation came from Nicolas wanting to explore things out of his previous band’s musical territory. What was the biggest challenge in the first days of the band? Nicolas: I think looking backwards, the project itself turned up to be a challenge from day 1 really. It was the first time i even tried to compose something, so being through the process of actually creating music was a whole new experience for me. Strangely enough, I think it is also the reason why all songs were written pretty rapidly (4 months altogether) : i just wanted to let the creation flow, stay simple and direct. While it was a challenge, i have to say that it also has been a great learning experience. After this, the main challenge was for me, and others, to find the time to move forward on the project. We also wanted to have a pretty high level of quality in everything we put in this album music wise, so this takes time. What would you say fans can look forward to with this new release? How do you feel COR SERPENTII has been received by the wider metal scene? Frédéric: Well, it’s a bit too early to say anything about how it’s been received, but the first comments and reviews are really fantastic, quite beyond our expectations to be honest – especially because we released it 100% independent, with no label support. I would say COR SERPENTII is a really interesting project because of its contrasts – it’s pretty brutal musically, fast-paced, heavy (names that often come are MORBID ANGEL, ZYKLON, EMPEROR, CONTROL DENIED…), sometimes a bit on the technical side but never too much, layered with a lot of more „proggy“ arrangements, clean vocals… So you have that wide gap but I think we managed to make something homogeneous out of it. To paraphrase a friend of mine who wrote about the album: it’s like a mix of NECROPHAGIST and ARCTURUS – seems rather odd but… maybe not that much ahah. Nowadays there are a lot of bands in this or that genre. So what peculiarities or distinctive features of COR SERPENTII can you name, which mark the band out of the other formations playing in similar styles? Frédéric: To complete my previous statement, I would say that many bands that are very brutal musically think their vocals have to be the typical growls / shrieks… Some are totally fine, but at least to me that makes a lot of them quite boring. I think that bringing a clean vocal melody on a 250 bpm blast-beat makes it even more extreme. Would you say that is ideology or message behind COR SERPENTII? What inspires the lyrics? Nicolas: I don’t think there a single ideology attached to our lyrics, like a single musical positionning to our music. Like Fred has said, our sound is being fostered by many, many influences, and we just want to play good Metal altogether. “Phenomankind” explores different paths, but what forms the majority of lyrics is an interpretation of themes developed in Sci fi books, hence the fact that we wrote a track on “Ubik” for instance. Trying to shape the abstract is always a fascinating thing to do in my humble opinion, and this is what our lyrics tend to do. Exploration would be the best word to qualify the themes we tackle. Sound of record is really great. Are you satisfied with the sound on the debut album? Nicolas: Well, this is the reason why we decided to work with Studio Henosis and Fred as a sound engineer. We know the quality Fred puts in its releases through the works of ORAKLE and others. I have to say to i am still very impressed with the quality achieved in “Phenomankind”. What was great as a guitar player and composer was to have the ability to fully express my needs and to get a matching result. Overall we wanted a sound that would stay rather organic as many modern productions sound a little bit too „clean“ in order to focus on the essential: clarity, harmonies and balance in order to create strong moments for each instrument to take its place naturally. I think this is also one of the reasons why we get good feedbacks about the attention listeners keep across the 10 tracks. 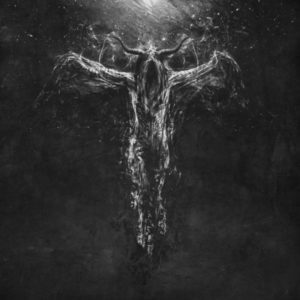 What do you think of the current state of black metal? In my never ending quest to discover new music, what have you guys been listening to lately. Frédéric: I don’t listen to black-metal exclusively, not at all. It’s also part of my job as a producer to keep an eye (or ear) on things coming out, in many genres inside and outside metal. BM is not that much exciting, I find many bands consist in either people doing it in a very traditionnal way (more as a tribute-kind of thing) or people trying to mimic the current trend (I enjoy a lot DsO’s work for example, but man there are sooo many bands now just throwing random arpeggios and Bible’s quotes and calling it genuine art…). But there are still releases I appreciate a lot – ABIGOR’s last album proves once again they are amongst master craftsmen in the genre. New OUTRE & MANES (both released on Debemur Morti) are really good, IMPERIAL TRIUMPHANT also released a very interesting one. In France, I advice you check latest releases from DEATHCODE SOCIETY (a live album), MOONREICH, GLORIOR BELLI, DECLINE OF THE I, AORLHAC, OPHE (their album has a quite special mood). I can also tell you that next PENSEES NOCTURNES album (to be released in 2019) will be extraordinary! Nicolas: I do like the Black Metal scene, especially the bands that come from France. I think about BLUT AUS NORD which really turned up to be a game changer for this style, DEATHSPELL OMEGA, but also DEATHCODE SOCIETY or THE GREAT OLD ONES for which the last album is a masterpiece for me. This is true that a lot of bands tend to try and cultivate what once was a very creative raw black scene, but some projects do this better than others. Coldworld for instance released a great „tribute“ album called Nostalgia, and i really enjoy listening to this, even in 2018. There are also other bands that keep on adding their DNA is this style, like ELLENDE (can’t wait for the new album) for instance. I think some filtering needs to be done amongst the bands but there is still great quality. What were the bands, who were the people that influenced you in your evolution to be the musician you are today? Nicolas: Now this is the tricky question. I listen to a lot of different styles of music, and i try as much as i can to retranscript those influences in the tracks i come up with. From Vangelis to Death, from DEAD CAN DANCE to EMPEROR, From Mozart to BURZUM passing by the likes of PINK FLOYD, SKINNY PUPPY, NILE or EMPYRIUM. As far as guitars are concerned, my main influence remains EMPEROR. For this album, i listened to a lot of work done by Vlad Cochet and contemporary composers as well (Wojciech Kilar; Basil Poledouris; Gerard Marino…). I also have a classical guitar background that i try to exploit creating tension throughout the tracks. 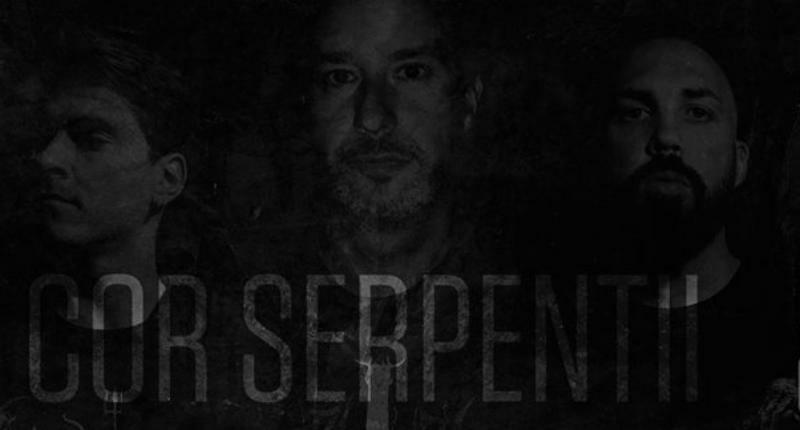 Foremost, this is the mix of influences amongst each members of the band that form COR SERPENTII as well. Complex and vast subject. What about COR SERPENTII, what are the plans for the near future? Nicolas: It will depend on the time available from each member as we all have fairly busy time schedules. I would love to start composing a 2nd album, and Phenomankind has been a blast so far, so why not? Finally, is there anything else you’d like to add? Thank you very much! Take care! Thanks again for gicing us the opportunity to talk about our debut album. We hope that this helped understanding where it came from. Go check it out, tell us what you think!